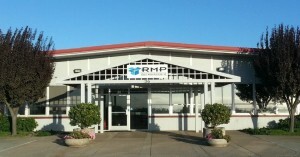 Robert Mann Packaging HQ in Salinas, Ca. Pratt Industries has made a major expansion into California with the acquisition of the Salinas-based food and agricultural packaging company, Robert Mann Packaging. Pratt paid $60 million for the privately-owned RMP group which has $150 million in annual sales and more than a dozen facilities in the western U.S. and Mexico, including a 350,000 square-foot box-making plant in Salinas. The deal for RMP now gives us a nationwide footprint in America with manufacturing sites stretching from New York to the West Coast. Company chairman and owner Anthony Pratt said the acquisition would also help integrate his American and Australian holdings. The paper converted into packaging by the new acquisition will come from his Meboune-based Visy Industries’ kraft paper mills in Tumut, NSW. He said exports from the Tumut mill were booming and had been boosted by the fall in the Australian dollar. Anthony said he wanted to continue to grow his West Coast operations to benefit his family’s Australian paper-making interests as well as those of his U.S. holdings. “We believe we will eventually grow the California business to $1 billion – it’s the biggest fruit and vegetable market in the world,” he said. RMP’s facilities in California, Arizona and Mexico will bring the company’s total to more than 120 sites. The acquisition also increases our American green-collar workforce by 200 to more than 5100 – solidifying our position as Australia’s biggest employers of Americans. RMP originally started out as a warehouse distributor for packaging products but in 1971 eventually developed into a full-fledged manufacturer of corrugated packaging, initially for the fresh-cut flower industry. Since then the company has grown to be a sophisticated manufacturer of produce boxes, bulk bins and plastic containers for the meat, seafood, agriculture and other food industries. The RMP announcement comes in the same week we began construction on a new corrugated box factory in Beloit, Wisconsin. It is due to open in early 2016. Meanwhile the company’s fourth, 100 percent recycled paper mill in Valparaiso, Indiana, is scheduled for start up later this year.